Xiaomi’s sub-brand Redmi has already launched two smartphones under its banner last month and the company today launched it’s third device from the series 7, the Redmi 7 . Earlier last month the company launched Redmi Note 7 and Note 7 Pro after being independent from it’s now parent company Xiaomi. 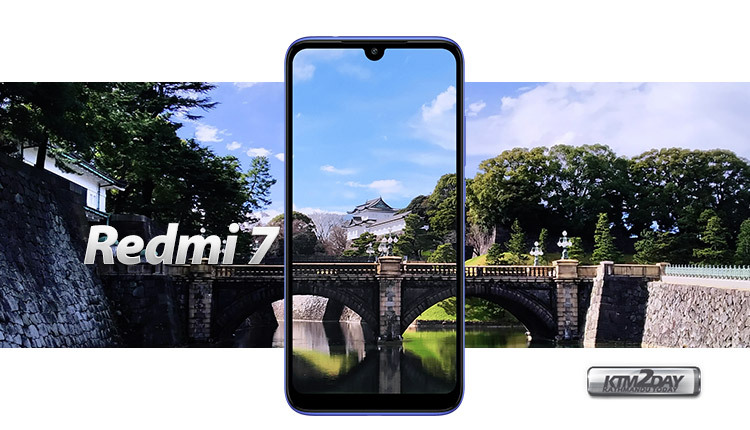 Xiaomi held a launch event in Beijing to launch the Redmi 7 and the company also launched the Note 7 Pro alongside ,which made its global debut in India last month. Xiaomi recently launched the Redmi Note 7 along with Redmi 7 in Nepali market. 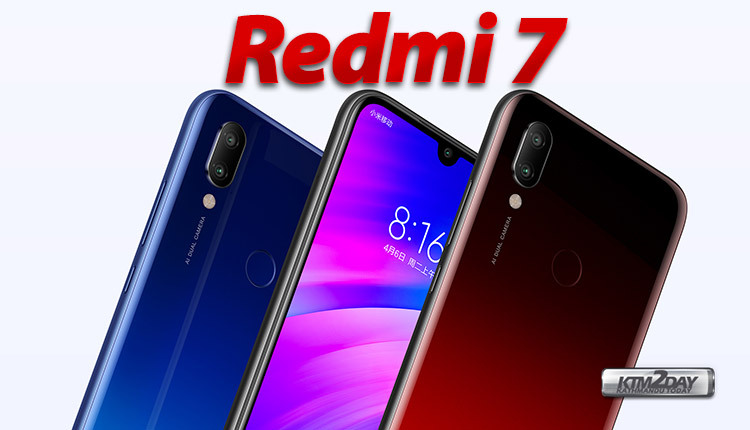 The Redmi 7 is a direct successor of the Xiaomi Redmi 6 smartphone which was launched in Nepal at the end of September 2018. Xiaomi in Nepal had additionally launched three devices alongside – Redmi 6A, Redmi Note 6 Pro and Mi A2 . 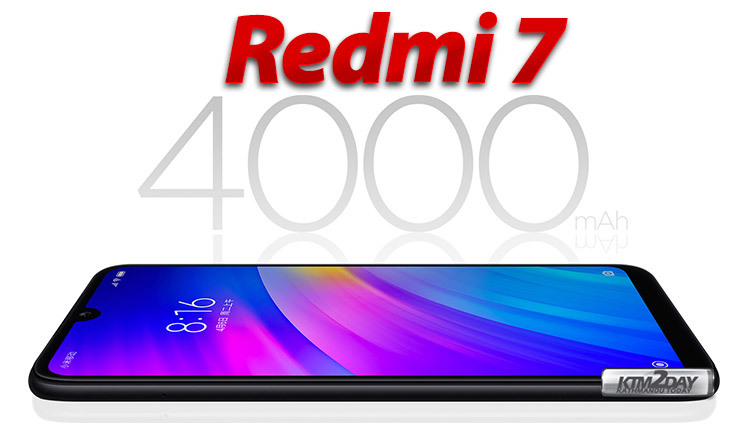 The Redmi 7 has been launched in Chinese market for a price of 699 Yuan (~$105) which translates roughly to around Rs 11,500 . 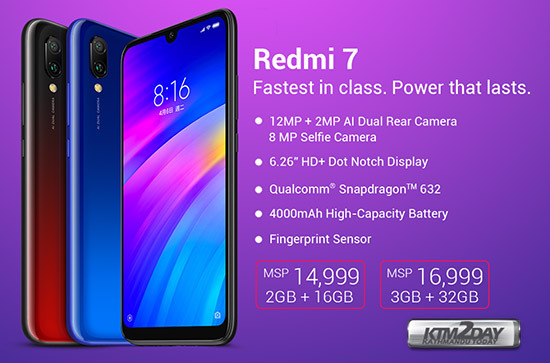 At this price point, the Redmi 7 becomes the most affordable smartphone in the lower mid-range category with shining hardware specs that has better chipset and larger battery which no other manufacturers has done before. 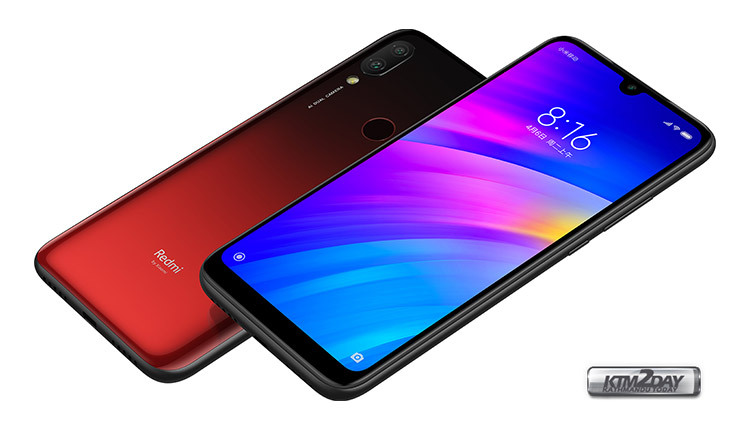 The Redmi 7 comes with large display of 6.26 inches HD+ display in 19:9 aspect ratio and 720 x 1520 pixels resolution with 269 ppi density. The display comes IPS LCD capacitive touchscreen with Corning Gorilla Glass 5 protection. The devices is powered by Qualcomm Snapdragon 632 Octa-core (4×1.8 GHz Kryo 250 Gold & 4×1.8 GHz Kryo 250 Silver) along with Adreno 506 GPU. 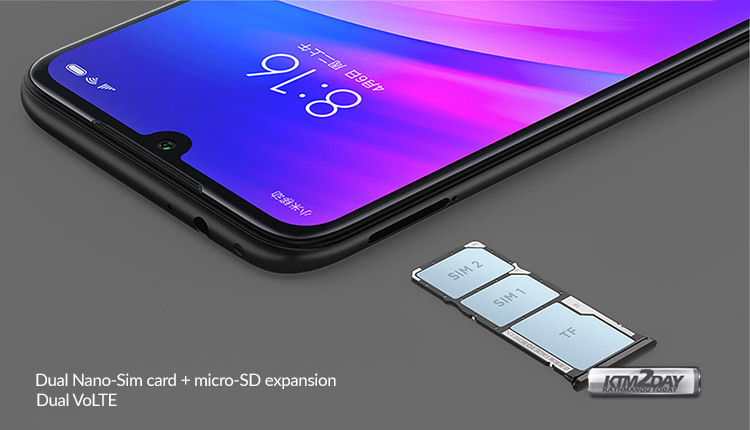 Regarding the memory RAM and storage options the Redmi 7 comes in three variants of 2GB RAM/16GB storage for 699 yuan(Rs 11,500), 3GB RAM/32GB storage for 799 yuan(Rs 13,000), and 4GB RAM/64GB storage for 999 yuan(Rs 13,300). The phone comes packed with a big 4000mAh battery which Xiaomi claims can last for hours easily, in a single charge. The Redmi 7 comes bundled with 10W charger. On the camera front, the Redmi 7 includes a primary sensor of 12MP and secondary sensor of 2MP. The main rear camera comes paired with 1.25um and 1/2.9 aperture. At the event, Xiaomi compared the Redmi 7 and the Redmi 6 camera samples and the new Redmi phone comes out with great pictures, especially in lowlight situations. The Redmi 7 rear camera comes coupled lots of AI features to enhance the photos. On the front the Redmi 7 includes an 8MP camera for clicking selfies. 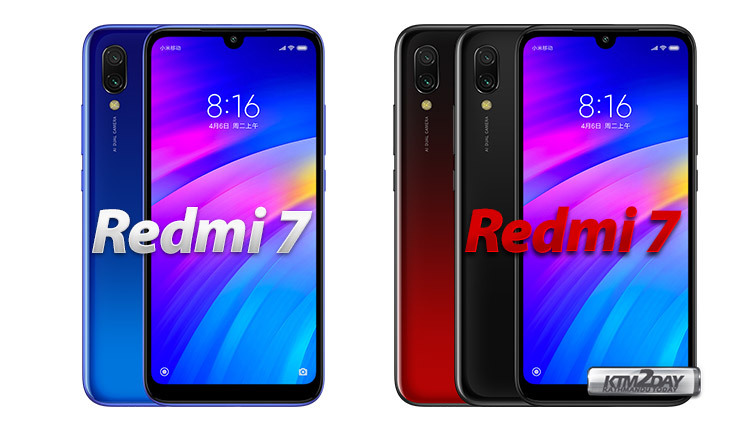 As far as the design is concerned the Redmi 7 looks very similar to the Redmi Note 7 and Redmi Note 7 Pro. The Redmi 7 comes with waterdrop notch on the front that includes the selfie camera. The bezels on the sides are also slimmer compared to the Redmi 6. On the rear panel, the Redmi 7 includes two cameras paired with LED flash. Unlike the Redmi Note 7 series, the Redmi 7 includes a polycarbonate finish on the back and not Gorilla Glass 5 protection. The compromise of the build is justifiable considering the affordable price of the Redmi 7. The phone includes P2i coating on the back which will save the phone from water drops.Redmi 7 also comes with “Redmi by Xiaomi” brand logo. The Redmi 7 includes a 3.5mm headphone jack on the top. On the right side, there are the screen lock and volume buttons. On the back panel, the Redmi 7 includes a circular fingerprint sensor which will help users unlock the phone. 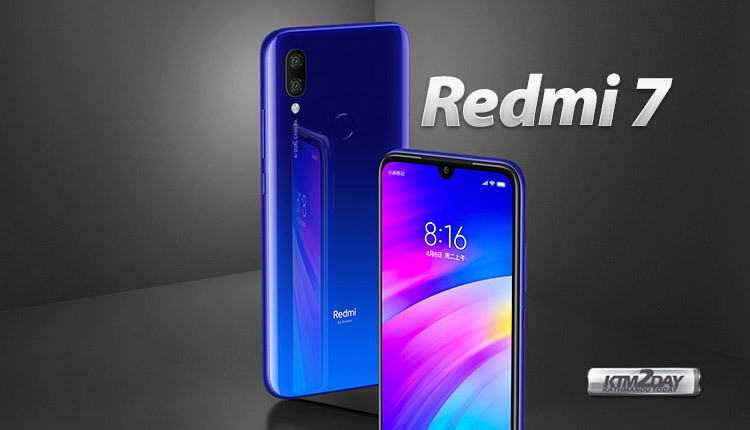 The Redmi 7 comes in three colours — Dream blue, Charm night red, Bright black.